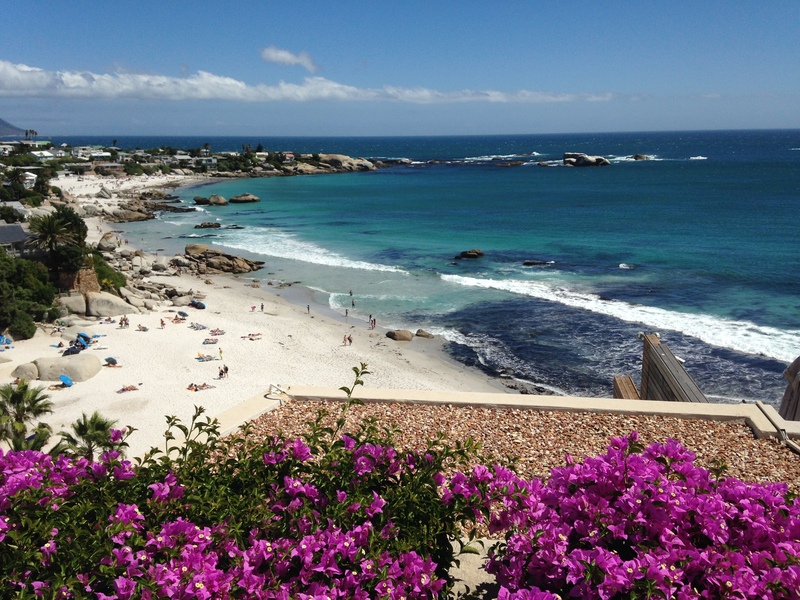 I made my annual pilgrimage to Cape Town as a last minute trip this year. It is always great to escape the UK weather and given the recent rain, it was fantastic to find an opportunity to get away between my other commitments and forget the real world for a short while. It’s not just the weather that gets me on that 12 hour flight. The first reason to go is that it feels like home from home to me and that’s all down to having the most fabulous friends there who welcome me into their place with open arms. And I realised more than ever this year that they share my outlook, my way of life and my interests. We may not see each other for a year and may not even make much contact over that year but as soon as I step over the doorstep, it is as if that year in between was yesterday. That’s the best sign of friendship I can think of. Every year I am interested to see what is new. And this year, Cape Town is the World Design Capital following in the footsteps of cities such as Turin, Helsinki and Seoul. So my expectations of this great city were high … and it didn’t disappoint. With design front of mind, I discovered Weylandts this year. 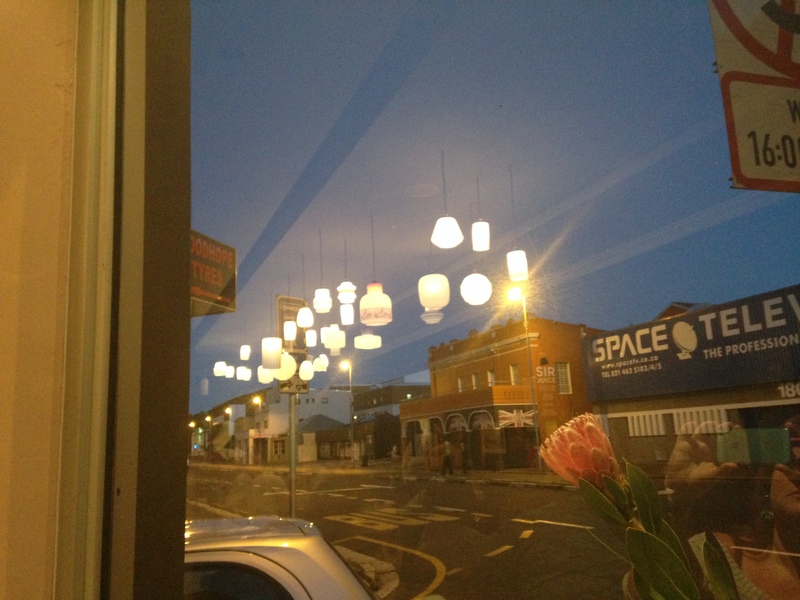 I can’t figure out why I have never been there before and was pleased to find some fabulous lights for my new home. You really can’t beat the prices with the exchange rate more than ever in my favour, and the South African designs were spot on. 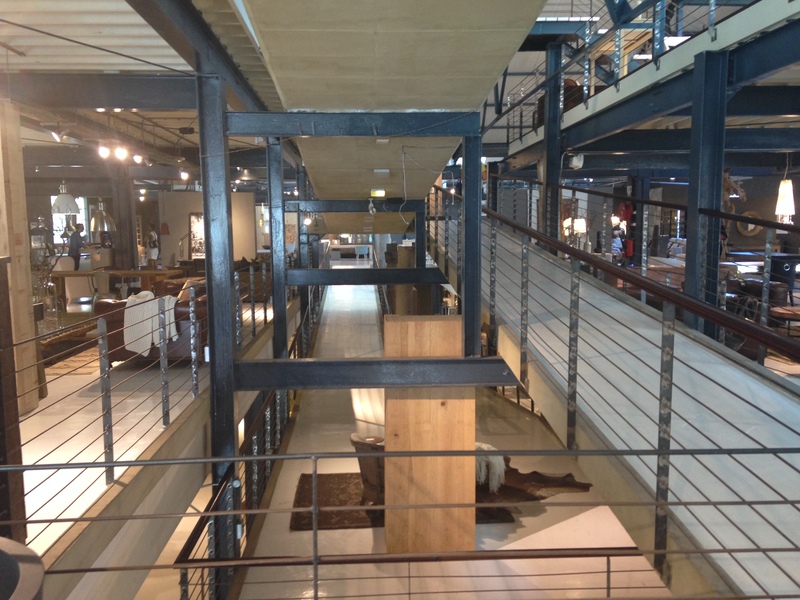 This multi storey warehouse of beautiful stuff is well worth visiting. It got me thinking about just why this city is so inspiring. I think it is embedded in the fact that South Africans are just so straight up and honest. Some people find that difficult to relate to but in the retail and food world, it means that you get a very true experience that is what it needs to be without having to try too hard. And because the country is so vast and isolated from others (unlike Europe, for example) businesses just get on with doing what they want to do with creativity and purpose. Finally, there is more of a culture of support than I see in other places. When a new young someone wants to put an idea into practice, they get encouragement and help rather than a queue of people hurling cynicism or trying to knock them back. It all adds up to lots of innovation and passion that translates directly to the consumer. The big explosion over the past two years has been in coffee which I will talk about next time. So what else is there to report back on? Firstly – Karen Dudley. She has been fronting her Kitchen for a few years now which was the restaurant of choice for Michelle Obama when she visited Cape Town. Given Karen’s philosophy and food, you can understand why. It certainly isn’t on the usual tourist path of restaurants but it is in the trendy Woodstock area so not too far off the beaten track. 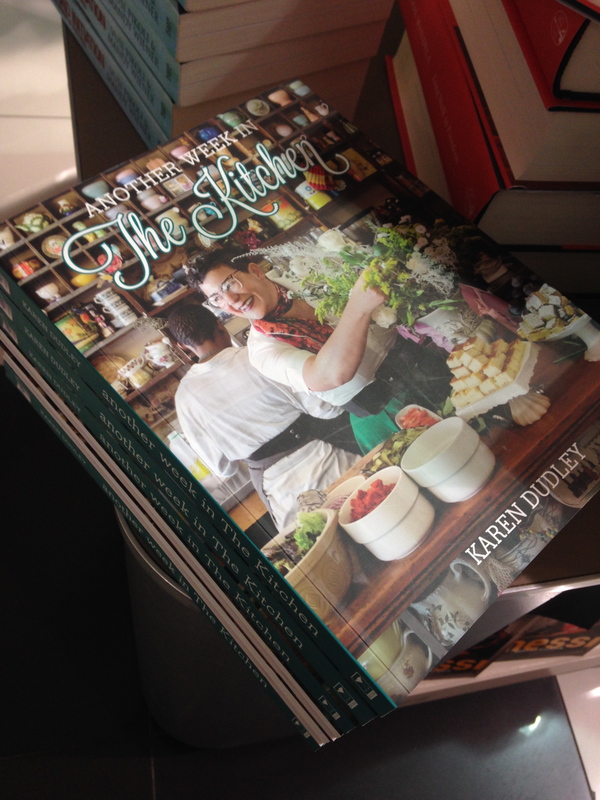 In the past year, Karen has published her second cookbook “Another Week in the Kitchen” and opened The Dining Room in the adjacent building. We visited for dinner and had a lovely meal hosted by the chef herself. As with her first place, it is as if you are in Karen’s home eating whatever she has prepared that day. 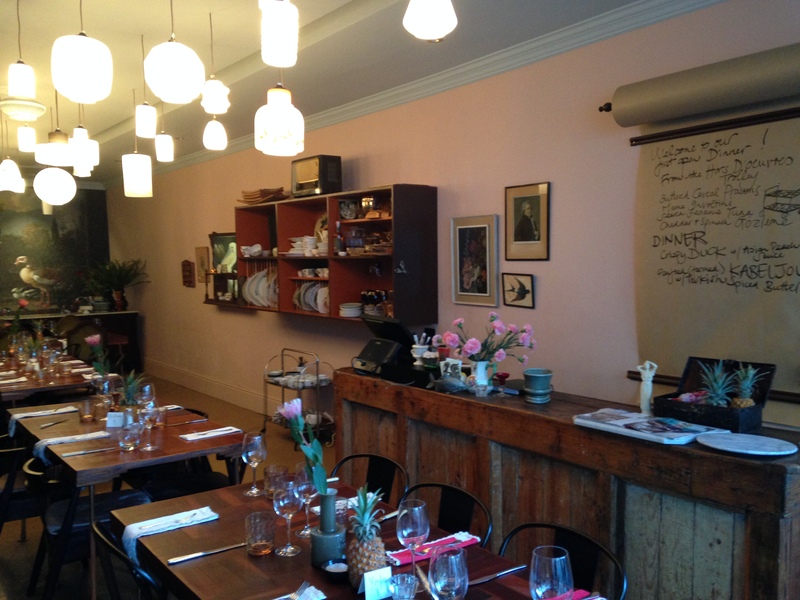 The decor is eclectic with mismatched cutlery, plates and funky decorations. 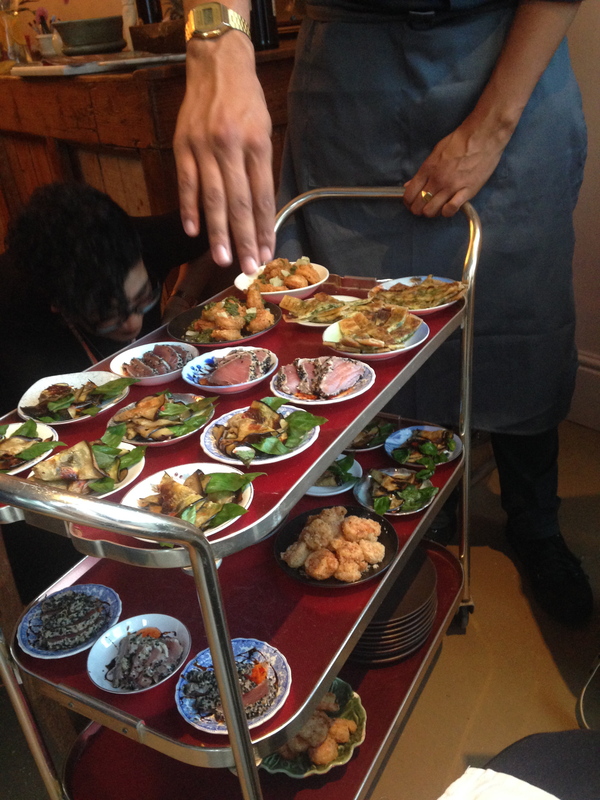 The menu is short with starters served from a trolley, a choice of two mains and desserts. The team are incredibly attentive and Karen herself just oozes interest and joy in the food that she offers. Another of my favourites from last year has had a makeover. 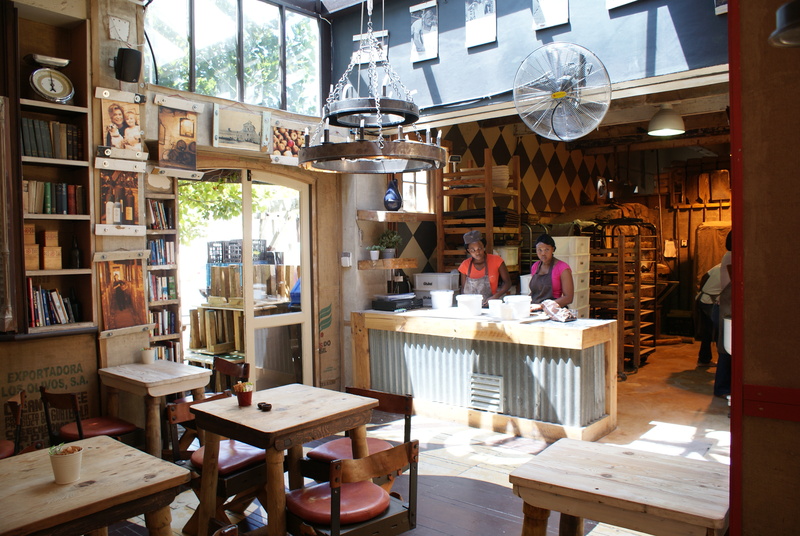 Set in Stellenbosch, Schoon de Companje is the next iteration of a great bakery and cafe that I saw last year. 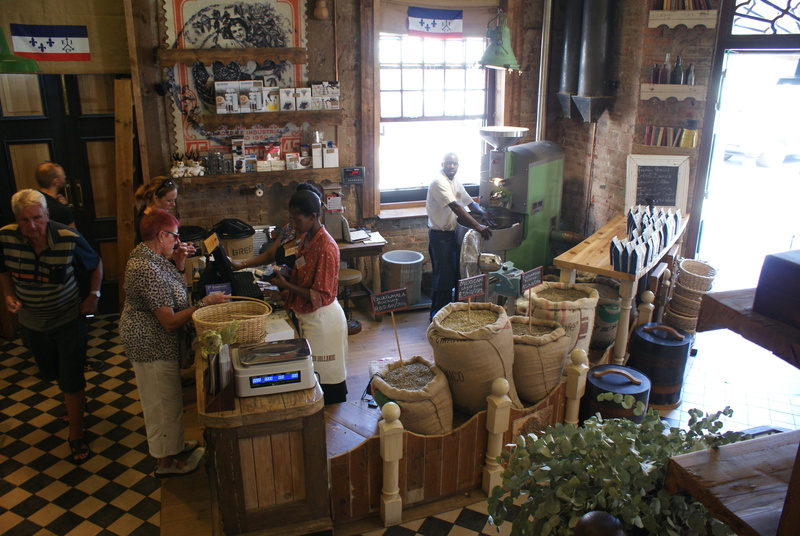 Now the space has expanded to include butchery, coffee roasting, wines, ice cream making and produce in addition to the bakery and cafe. 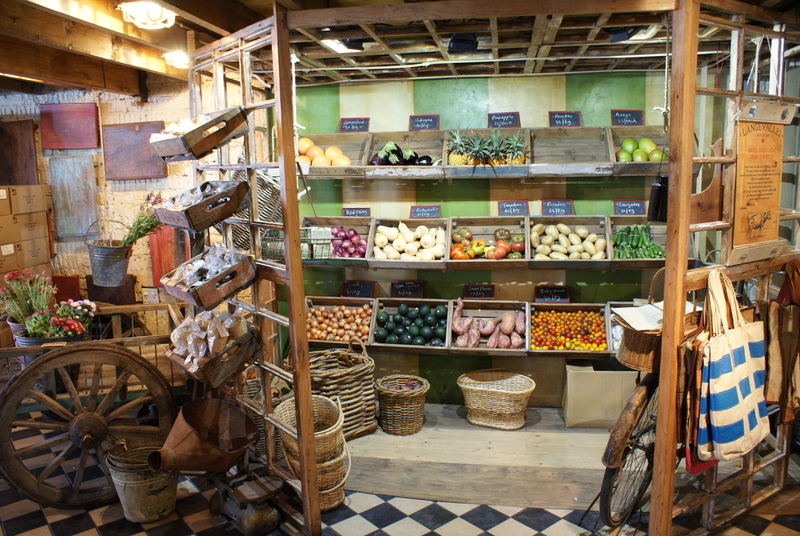 The whole atmosphere is cosy and relaxed with natural wood, lovely displays and a simple menu. It’s definitely worth a trip on the way to exploring the vineyards in the area. 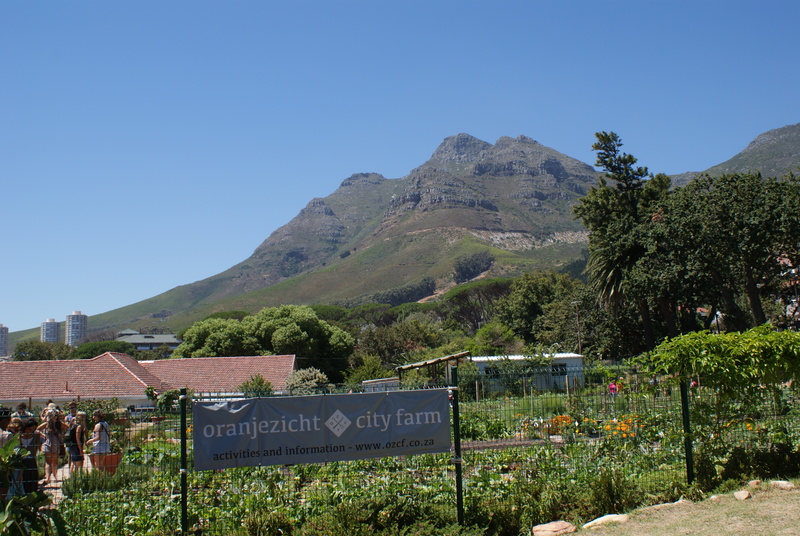 The other discovery was a new market at the city farm in Oranjezicht. It may be small but I can see this one growing, if you pardon the pun. The stall holders focus on local produce along with some home made delicacies. 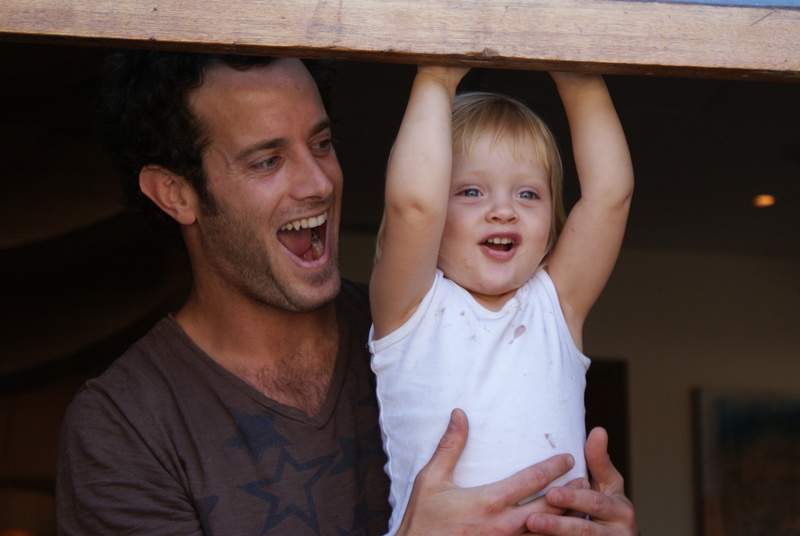 It seems there is a lot of focus on gluten free, carb free and raw foods in Cape Town at the mo and here you will find people doing a good job of making yummy healthy treats as well as a central braai for tasty lunchtime eats. The final place to report back on in this post is the Taproom. Once again, this new place is to be found in the Woodstock area which is most definitely the area to discover when you are out there. 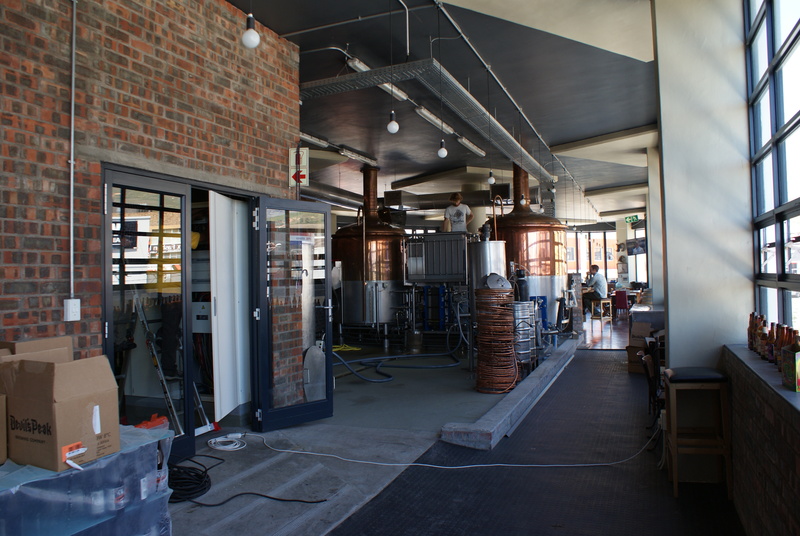 Here they are hand bottling home made craft beer and serving a short menu to accompany the Devils Peak liquid. It was just a very good example of the beer fashion with production there on site and open to be seen by all who visit, not as a theme park but as a real brewers. Once again it is straight forward, simple and yummy. I finally managed to grab a last minute holiday over Easter and decided to visit friends in Cape Town. This is home from home for me and I thought the weather can only be good. Sadly the rain followed me, so my tan is not progressing as well as I had hoped, but this place continues to entertain in the best way. We have embarked on a little side trip this week to McGregor which may not be the most vibrant of places but it suits my need for a chillax. We had a couple of great days by the pool at our B&B, a fabulous massage from Deirdre and tonight a perfect meal at Karoux. Chef and front of house couple Ryan and Amy have hit the mark as far as I can see in their first few weeks of taking over this restaurant. 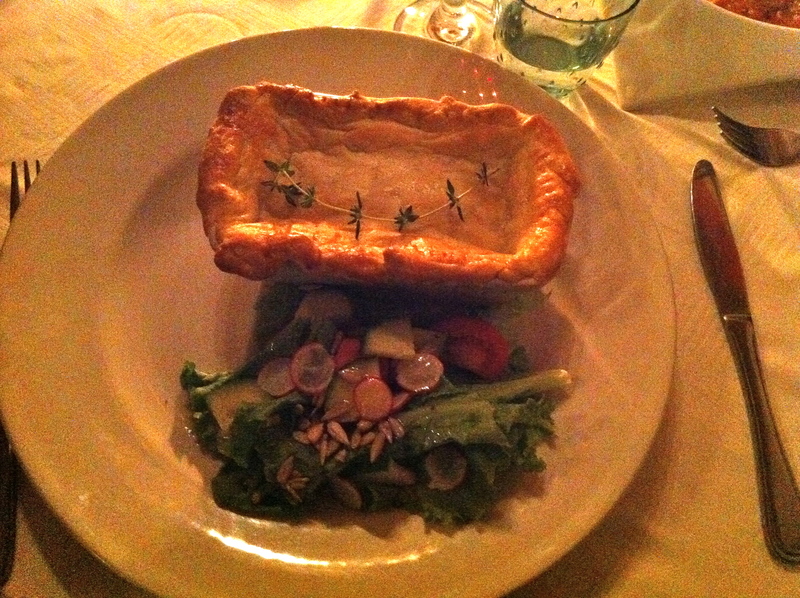 There is a friendly atmosphere, a homely menu and some good honest cooking. As someone who is trying to figure out a brand new restaurant concept for my current client, what appeals to me about this place is the simplicity. This is like eating in your own home, without having to do all the work. We were told that Ryan has only two burners, makes everything from scratch and sources as much from the locals as he can, such as the goats cheese which is a weekend sideline for the town’s dentist! It was fabulous fried as a little crunchy breaded garnish on the tomato risotto. The whole meal was amazing value, costing less for 3 of us than a meal for one would cost in London. And everything came up piping hot, well seasoned, simply served and delicious. This is indeed a winning formula that many would do well to emulate. It is lovely to see a couple make a go of somewhere like this and I truly hope that the first 3 weeks have set the future for these two in this off the beaten track treasure. Pigs are very intelligent, clean, social animals with a wonderful sense of smell, which is why they are great truffle hunters. So we should love them for that reason alone. Oh, and they also taste great! As a nice Jewish girl, I am not sure it is legal to have such a penchant for pig, but what can a girl do? It is definitely the meat of the moment having showcased its best sides through Jamie’s shoulder of pork recipe, the trend a few years ago for pork belly, the whole scratchings fashion and latterly, barbecued ribs a la Pitt Cue co. This Christmas, my presents and cards will also have a piggy feel thanks to the wonderful Jo at Ham who is manufacturing beautiful piggy based things for the kitchen here in Britain. This week, I finally managed to get down to the New Forest to have lunch at The Pig hotel, which has been on my list for some time now. Created by successful hotelier Robin Hutson, this reasonably priced, 26 room hotel is the latest incarnation from the Lime Wood Group. Mr Hutson is a bit of an inspiration in the hotel world. He created the Hotel du Vin chain which reinvented the town hotel and now he has applied his immense talent to the country hotel. The beauty of The Pig is the walled garden, which is central to the concept and really does define the identity of the place. By bringing the food into the heart of the hotel, The Pig has partnered two key elements required to satisfy even the most discerning lodger. The Pig menu is created from within a 25 mile radius with chef, forager and gardener working well together to create wonderful British garden food. Everything was presented with a nod to garden, from the first seating in the Victorian conservatory to the presentation of the menu and table complete with herb pots. But the most exciting part was the menu itself. It was creative and interesting and the food generally delivered in the same vein. This wasn’t exciting cutting edge food and some of the flavour was not as intense as I would have expected, but we had a great time and a thoroughly enjoyable, good value meal. The whole experience reminded me of two other places I have written about before in Top of the World and The Promised Land. The first is Blue Hill at Stone Barns, home of the brilliant chef, Dan Barber in New York. This is the best overall meal experience I have ever had. It began with a tour of the farm and ended with a 28 course meal that blew my mind. The first 10 course were vegetarian and the first 12 course were eaten without cutlery! What the team at Blue Hill don’t know about veggies is not worth knowing. It was the Driven by Flavour podcast that first introduced me to chef Barber, changing my whole outlook on vegetables, and was the only reason I went to Blue Hill in the first place. If you ever get the chance, go there, take the farm tour, see what it is these guys do with every single element of meat and veg and just bathe in the glory of these ultra talented passionate people. Ask about the charcoal, go and see the pigs and make the most of the incredible knowledgable passionate staff who will tell you everything you need to know about the meal. 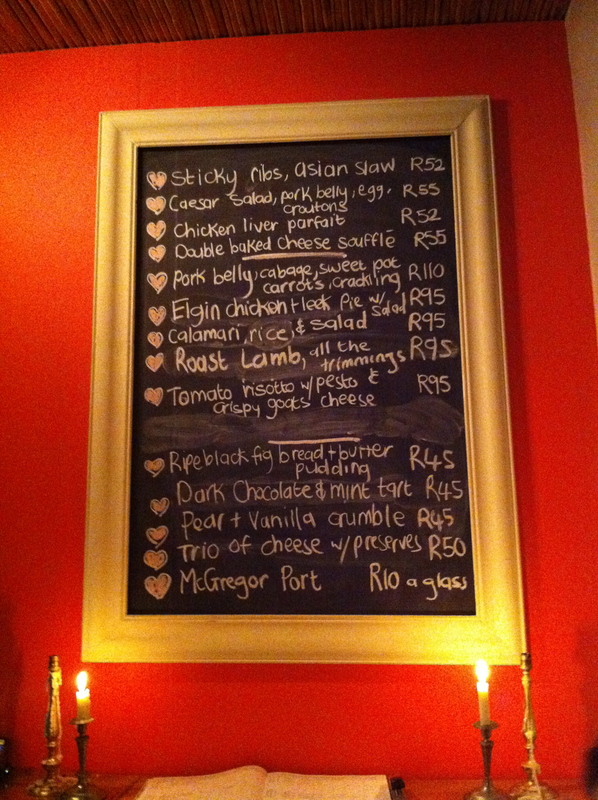 Each table gets something slightly different as the chef creates dishes from what is available so go for it…we did! The Blue Hill clan are genuinely changing the world with their revelations and delivering incredible food at the same time. This is the premier league of garden centric restaurants and it doesn’t get much better than this. The other place that puts a garden at the heart of its hotel and restaurant is Babylonstoren in the Winelands, near Cape Town. The menu and cooking here was not as exciting as Blue Hill, but in terms of design and gardens, this wins hands down. My ‘room’ was actually a cottage which I could quite happily have lived in forever and every single part of the hotel embraced the surrounding grounds. Room service had touches of herbs, you were positively encouraged to go pick your own and cook in your room and the staff even let me go cook the morning breads for breakfast. This is a piece of heaven and a must if you are in the area. Garden centric restaurants and hotels rule and I hope that The Pig is one of many that follow in this country. It’s been a busy couple of weeks for me which is why this post is well overdue. This time last week I was climbing a mountain! … literally. But enough of me as there has been loads going on in the food world too and with so much to report, I am inundated with topics to cover. I was catching up on the results of the latest Zagat London Restaurant Survey earlier on this week as voted by the public. Interestingly, Italian maintains its position as the most popular cuisine, driven by the fact that people choose to eat it more frequently than French which is the second spot even though their restaurants rate higher individually. Japanese food came third. Despite the big fashion for British food, only one in ten people voted it their favourite style of food to eat so it was way down the list. What is it about Italian that rings true with us all? Maybe it’s the chefs themselves. 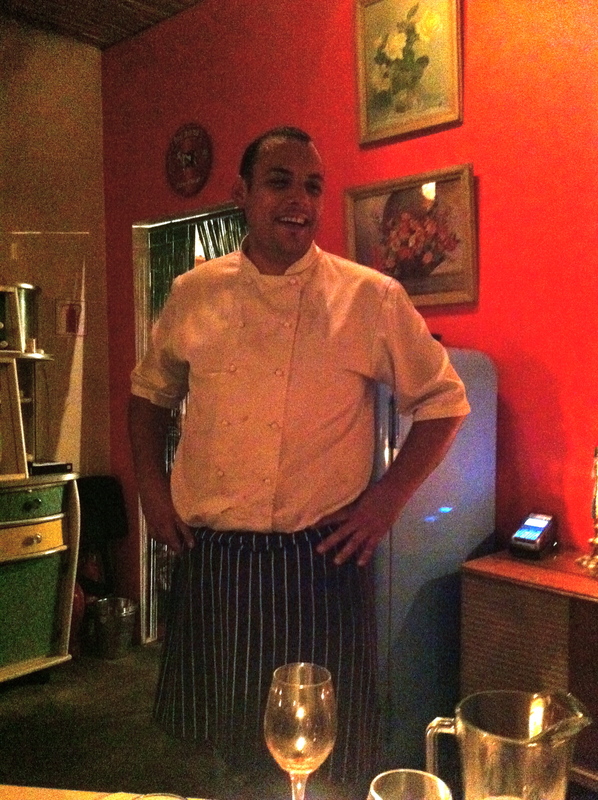 Personally, I was hooked the moment I met Daniel Toledo at his restaurant Il Leone in Cape Town. And his food was equally beautiful. Seriously though, I think there are some clear reasons why we all relate to this type of food. Firstly it is the simplicity. Most dishes take a few authentic ingredients which are simply prepared and cooked with all the flavour coming from the base product itself. This simple way of eating has also scored well with the Zagat guide who have concluded that we are all moving away from formal dining experiences towards something more casual which offers value for money. 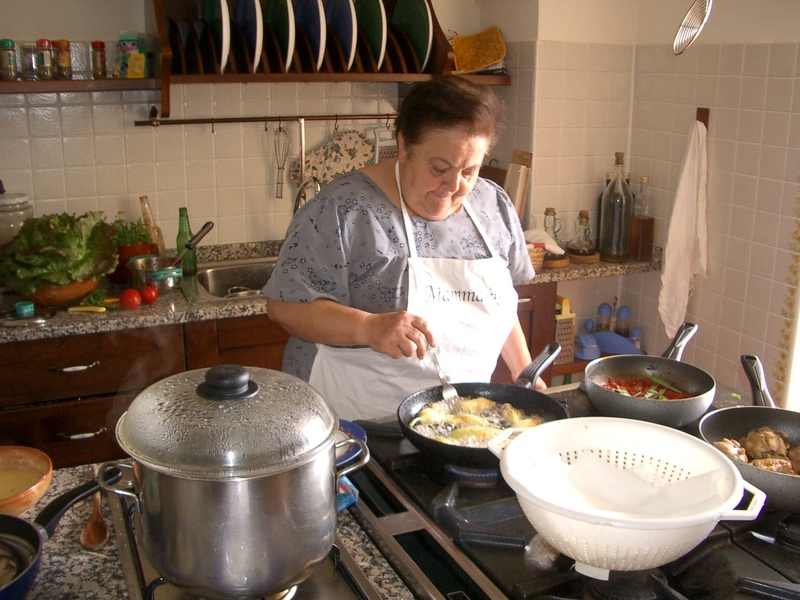 The second reason we all relate to Italian is that it is quick to cook so we can all have a go at home without a great investment in time or energy. There are some basic tips that are passed down from Nonna that really do transform recipes and these are worth getting under your belt. I learnt a few tips of my own from Mamma Agata when I did her cookery course in Ravello on the Amalfi coast a few years ago now. 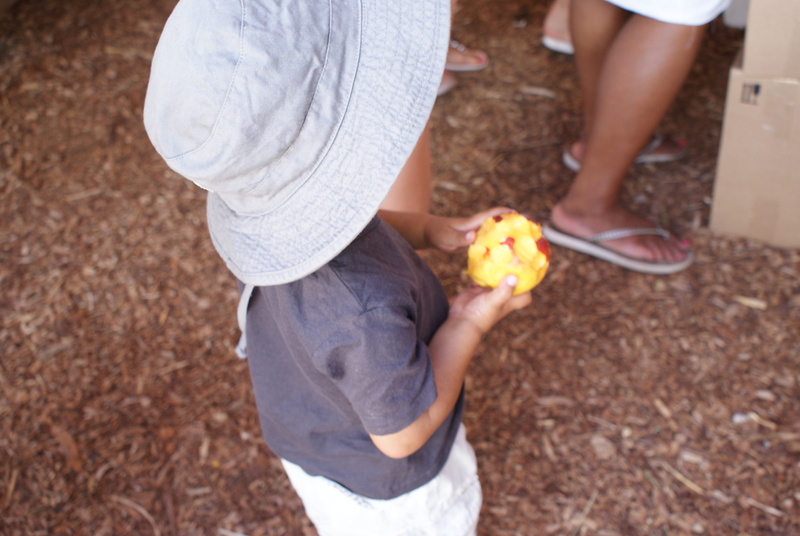 Mamma and I went to the market every day to pick our ingredients depending on what was fresh that day. But what I loved even more than that was the fact that she topped those up with items from her garden. 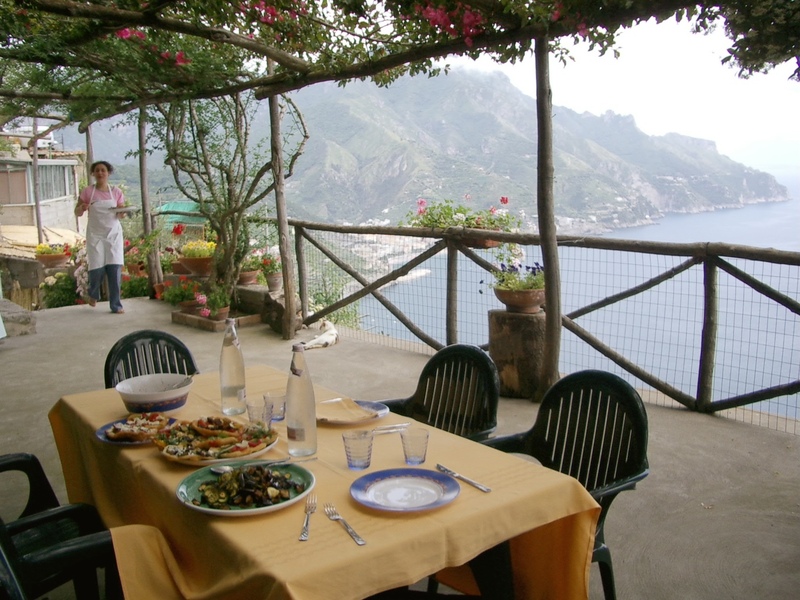 She simply shouted out of the window and minutes later her husband would come in armed with stunning stuff plucked fresh from their garden which overlooked the beautiful Amalfi coastline. 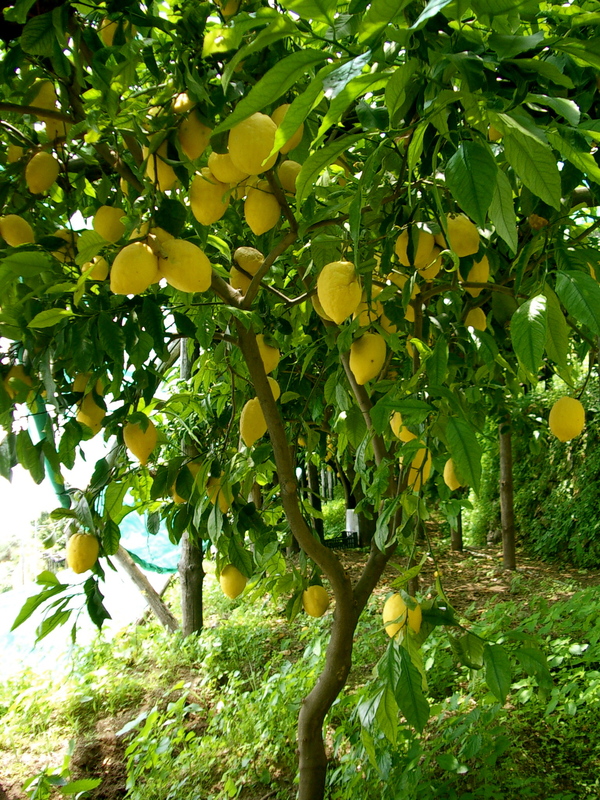 Lemons, tomatoes, eggs, aubergine, their own olive oil…it was endless. Once the food was ready, we sat outside taking it all in and enjoying the fruits of our labour. Clearly the third element to make up the art of Italian cookery comes with the ingredients themselves. We all know that authentic San Marzano tomatoes transform a dish and thick skinned juicy Sicilian lemons have a following of their own. As for burrata….what can I say? Creamy cheesey heaven. So, it was fascinating to see an Irish company win the Supreme Champion of the Great Taste Awards last week with their unique Italian Guanciale. Hannan Meats of County Antrim are experts in gourmet meats supplying top restaurants and hotels in both Northern Ireland and the UK. They were approached by Italian chefs and restaurants to develop Guanciale which is a traditional ingredient in many pasta dishes. This product is rare in Italy so the fact that a Northern Irish company is making it at all is very impressive. This is a dry-cured bacon made from pigs jowl with a mixture of herbs and spices, garlic and red wine and is used as an alternative to pancetta in many central Italian recipes. The judges at Great Taste were unanimous in making Hannan’s Guanciale the overall winner having judged over 8800 products in the past few months. So Italy wins again. All this talk of Italian food is making me hungry. 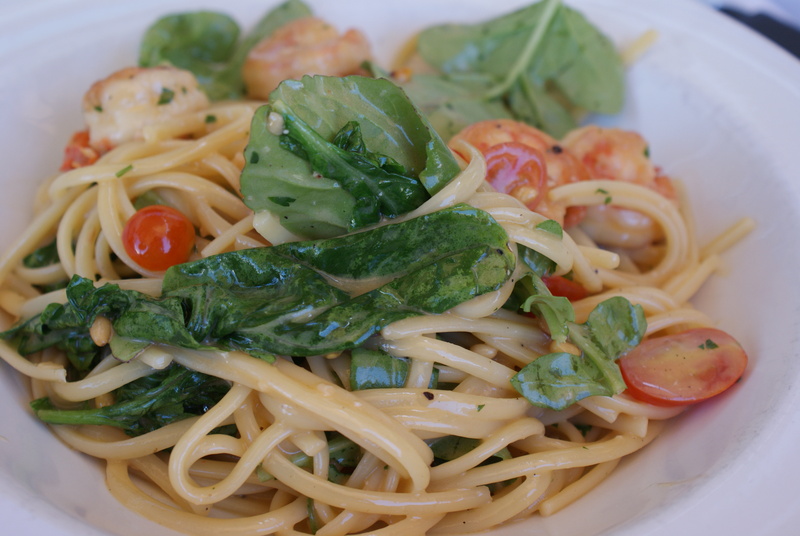 I think I will go back to Il Leone’s prawn pasta myself tonight for dinner. It is a tried and tested favourite of my own.